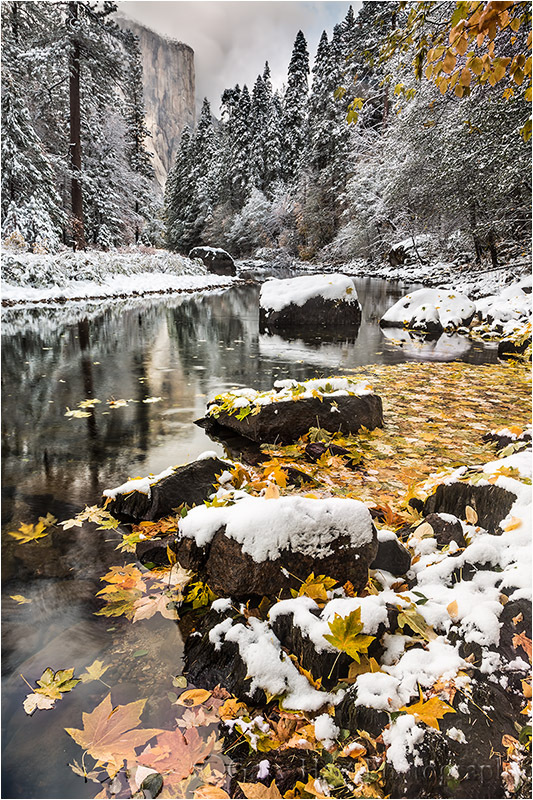 Finding Yosemite Valley blanketed with colorful leaves each autumn, or sparking with a new winter snowfall, is a rare treat. Finding these two magic spectacles at the same time is absolutely off the charts. In 2012 autumn came a little late, and winter arrived a little early, and I just happened to be present the one glorious day when the seasons collided.